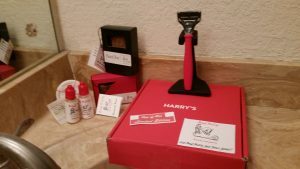 This past week we received our “One of One Limited Edition” of Harry’s new soft handled razor with the new Gen II blade. We were really pumped! There it was in an exclusive Bad Billy red box with the Bad Billy label!! Who knew that Harry’s Razors would honor our little company? But what else can we conclude? 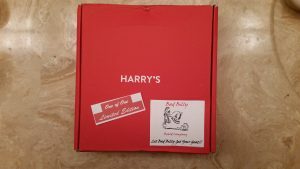 When I opened it up, there’s a brand new BAD BILLY BEARD COMPANY RED Harry’s razor…just too cool for school!